Click here to find out about ordering RV Campers Map, with Pet-Friendly campsites throughout California, Arizona, and Nevada, too! Click here to learn about how to place your ad in the Pet Business Listings for RV Campers, or on the next RV Campers Map. 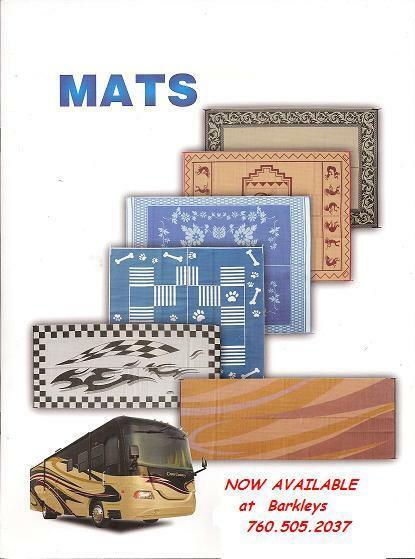 See our RV Mats for your Camper...no doggie tracks in and out the door!